From February 1st to March 15th, Bon Chovy Fishing Charters will be offering fully guided winter chinook salmon charters for $409.00 (excluding taxes and fishing licences). This price is for a five hour charter and is good for up to four anglers. Bon Chovy Fishing Charters is based at Westin Bayshore in Downtown Vancouver and the fishing is done very close to the dock, so there will be plenty of time with rods in the water! 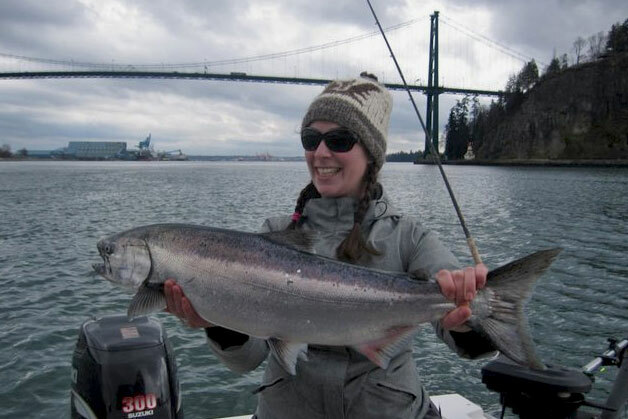 February and March are typically the best months to fish for winter chinook salmon in Vancouver Harbour, so this is a great opportunity to experience it at a very reasonable price. In addition, crab traps will be dropped on the way out to the fishing grounds! To book your trip, please call Jeff and Jason at Bon Chovy Fishing Charters at 604-763-5460 or email info@bonchovy.com. You can also find them on Facebook.